Michelle is a staple here at Puissegur Familly Dentistry. She joined our team part-time in January 1999, and became a full-time asset in April 2000. Our team and patient family could not ask for a better hygienist and friend. If you've ever met Michelle, you know how her robust personality is infectious. In May 1978, she earned her bachelors of science degree in dental hygiene from LSU School of Dentistry in New Orleans. She is an avid LSU fan - GO TIGERS! This practice is fortunate to have such a caring and personable hygienist on staff. She is an excellent cook and is known to bring delicous meals for our staff. Michelle's generosity and willing to help others is a quality trait that puts her a notch above the rest. She is married to a southern gentleman and is surrounded by her children and grandchildren whom she devotes the majority of her extra time. 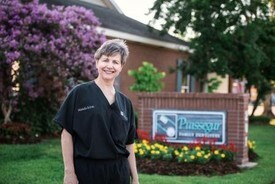 If you mention Puissegur Family Dentistry, this litlle gem of an assistant is the rock of our practice. Shannon joined our team in April 1990, and has been devoted to our patient's well being ever since. She earned her expanded duty dental assistant certification in April 1994, from LSU School of Dentistry, and is CPR certified. She has attended numerous continuing education classes to keep current with today's dental changes. Shannon is also our OSHA regulatory manager. It is not uncommon to find her bouncing from room to room without hesitiation to provide quality care to our patients. Shannon is Dr. Mike's right hand, and can usually read his mind in assisting with dental needs. She indeed is a vital and very important asset to our practice. Shannon is happily married, is a proud parent of a United States Marine, and has two stepchildren all of whom she adores. In her spare time, she enjoys spending time outdoors and bakes the best chocolate chip cookes. Monica (AKA: Monzie) joined our practice in 2012. She earned her certification as an expanded duty dental assistant in 2013, and is CPR certified. She is extremely organized and can be found wearing many hats in our office to keep it running smoothly. Outside of the office, Monica enjoys camping, running, kickboxing and the good old outdoors. She is happily married to the love of her life and the mother of two children and one stepson. In March 2016, Angie rejoined our practice as our Patient and Financial Coordinator. 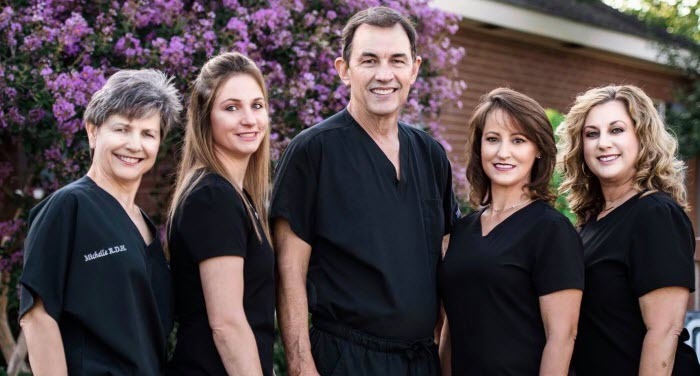 She previously worked with Dr. Mike in 1988, as his dental assistant. In January 2018, she gladly accepted the position of Business Office Manager. Angie has extensive managerial experience, and has worked in the dental field for over 25 years. She is extremely happy to be a part of the tight knit family of Puissegur Family Dentistry once again. She works diligently for our patients to get the most out of dental insurance benefits and coordinating financial matters. Angie has been married to her high school sweetheart since 1980. She is the proud mother of two children and has five beautiful grandchildren who are her heart and soul. You can find Angie cooking and baking for her family on the weekends and enjoying quality family time. She also loves decorating and antique shopping as well as traveling.